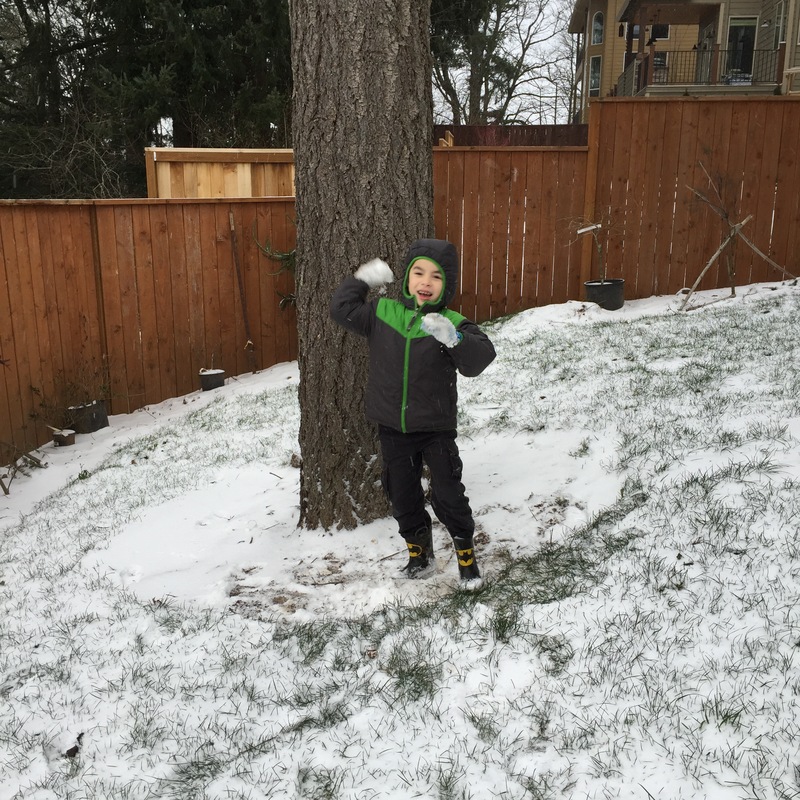 Snow is kind of a big deal here because 1) it’s pretty rare and 2) we live on top of a huge, steep hill. Our Sunday plans (church and Costco — yes, we live on the edge) were shot and we stayed home. Not a big deal as we buy everything in bulk (Costco). Sunday night, we had freezing rain. Alex’s classes were canceled, and I had to stay home from work. Our usual Monday helper crew (nurse E, grandparents) very reasonably wanted nothing to do with our icy hill, so it was another day at home, just the four of us. We were also homebodies on Saturday, so this was our third day in at home, just the four of us. I felt some cabin fever today. It’s always good to be home with family, but it’s not a great feeling to be homebound. There are errands to be done, patients to see. The holidays are over, and we need to get on with our lives! And then I remember our Julianna. She is homebound. Every. Single. Day. In the last year, she has gone out just a handful of times – a few trips down the hill to grandma’s house, even a few times to school. When the weather isn’t nasty, we take her out on the deck. But most days, she is home. Nov 2014 – We took J to a lake. It was one of just a few outings over the last year. There are lots of reasons for this. We have all kinds of mobility devices (power wheelchair, manual wheelchair, a rolling chair thing), but none have kept pace with the aggressive awfulness of her disease. 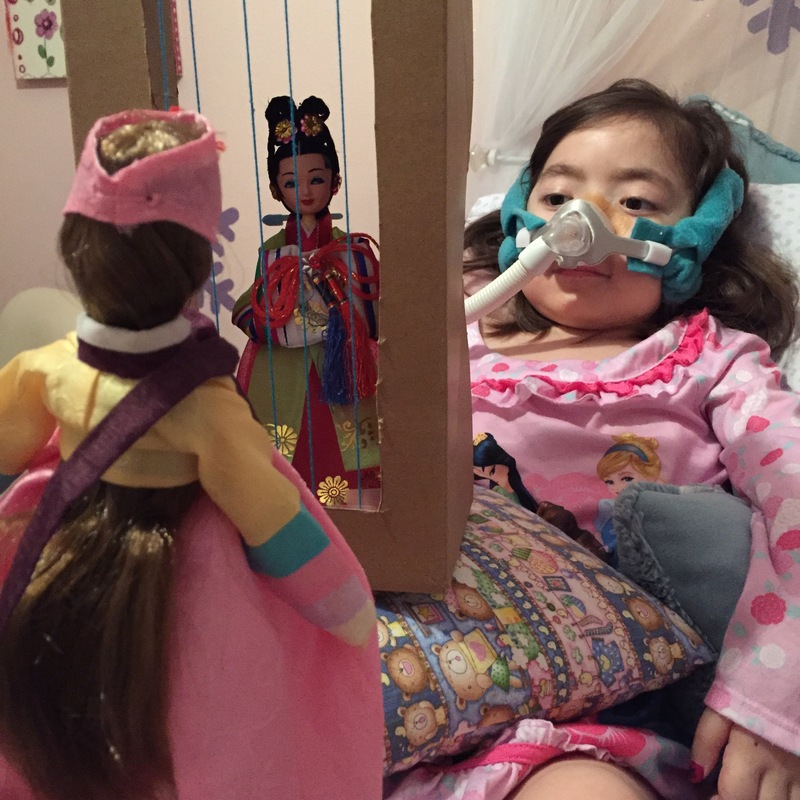 To go out now, she would need a chair that would let her lie on her back — and BiPAP, suction, cough assist, and a vehicle to accommodate all of this. It’s a lot. I know that J would love to go more places, but she doesn’t complain. As long as there are people around to play and love, she is happy. Her buoyant spirit and powerful imagination leave no room for self-pity or boredom. It’s yet another thing I can learn from. Here’s how we spent our time this weekend, stuck on our icy hill. 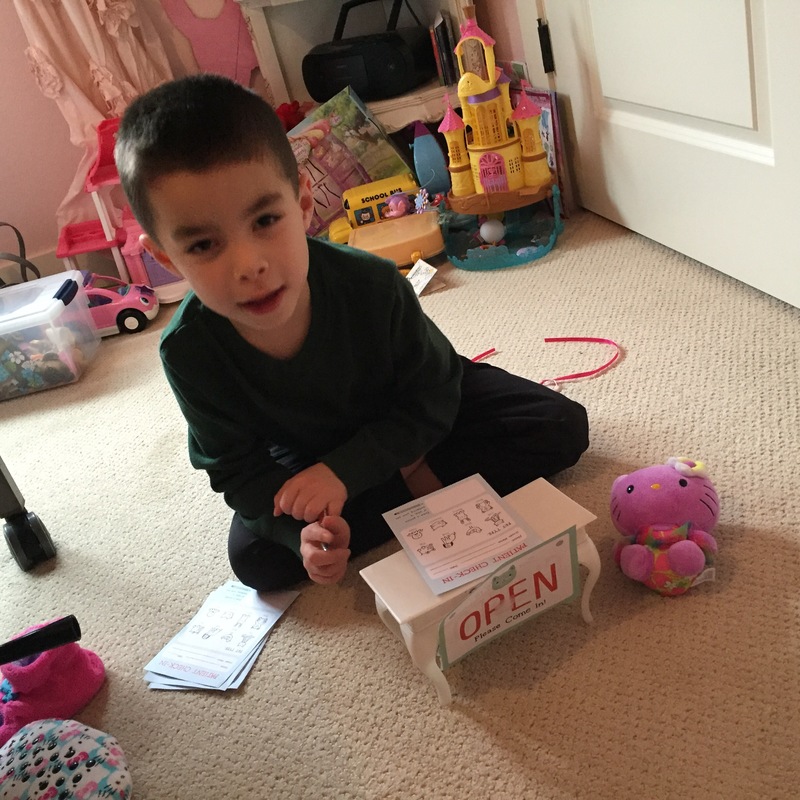 For Christmas, J received a book that contained everything she needed to open up a veterinary practice. It gave some basic materials (signs, forms) and some suggestions. She and Alex came up with the rest. 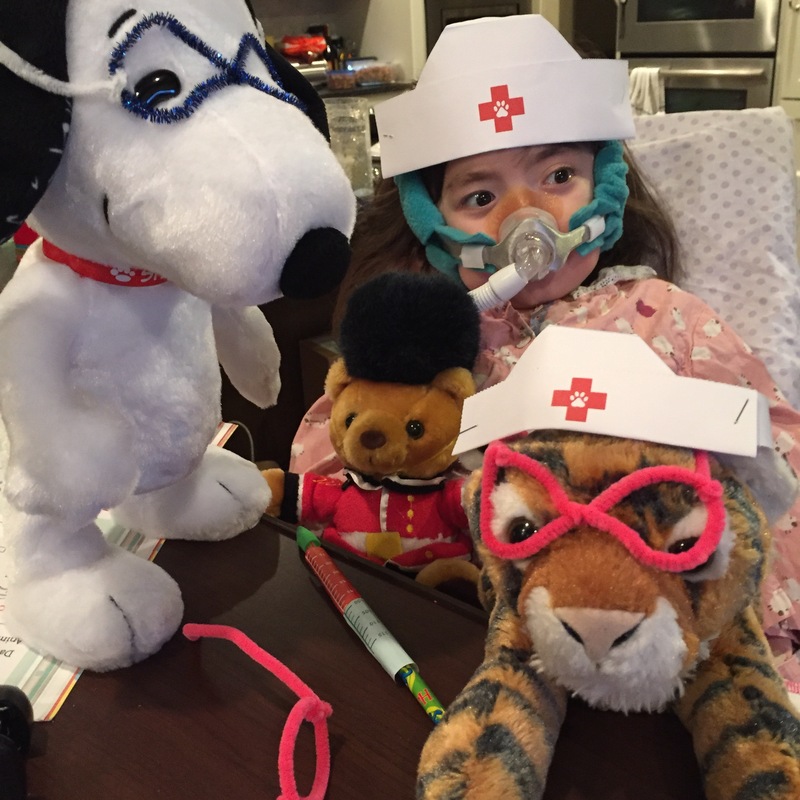 This is Dr. J and her assistants, Snoopy and Hobbes. He then brought them back to the Exam Room (aka J’s bed) and helped with the exams. I was the scribe. 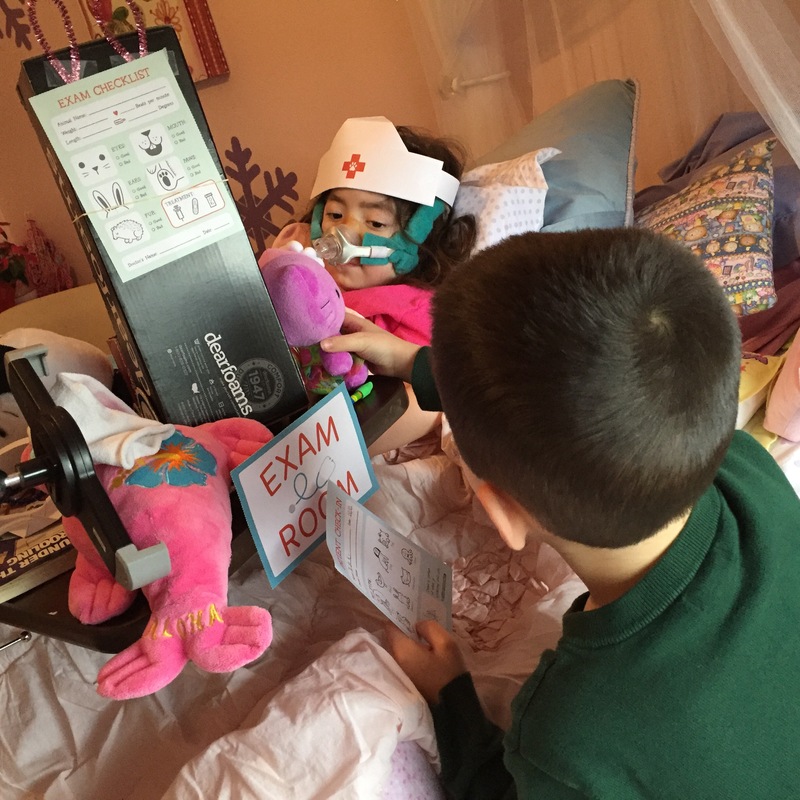 Their exams and plans were documented on the “Exam Checklist” – you can one taped to Tylenol Hello Kitty’s wheelchair. 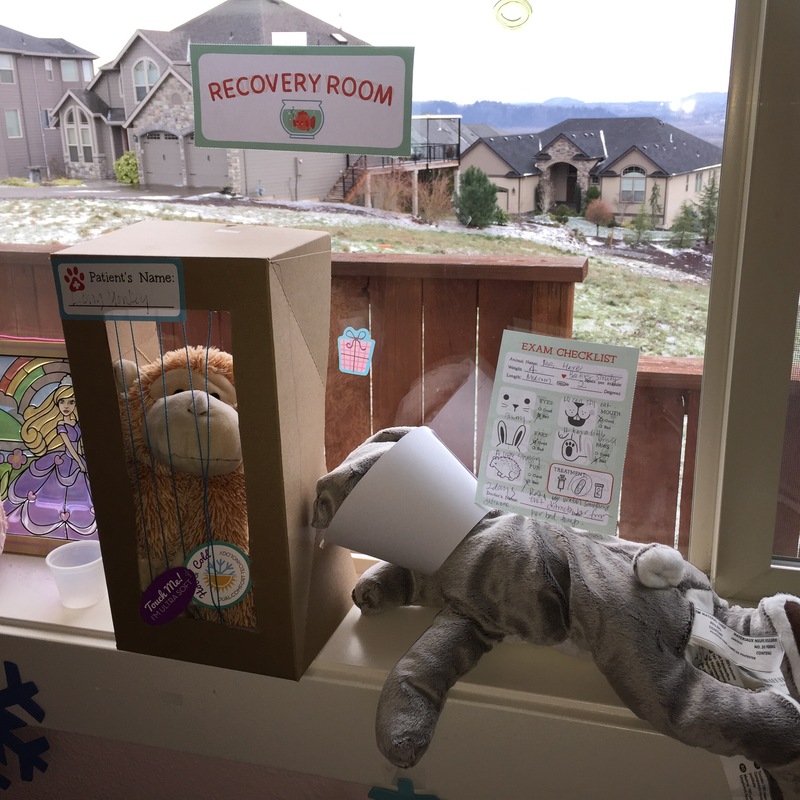 J’s window sill was the inpatient area/recovery room. Long Monkey (he’s really one of those microwavable neck wraps) is in a recovery cage, and Mrs. Hare is keeping him company while wearing a lampshade collar. Paws: Good – have been brushed and washed. Plan: Stay 3 days and rest. And sleep. Plan: stay 2 days. Rest and watch something that distracts her from bad things. Later on in the evening, while playing with Steve, she transitioned from vet hospital to K-drama. The bad Korean queen (Vivian) is in jail (formerly a cage in the vet hospital) because she has torn apart the good Korean girl’s (Young-Hee) house. I have no idea how this happened, but I’m not surprised. That Vivian girl is trouble. J’s imagination requires willing participants and TOYS. We have way too much. M: Julianna, this is crazy. J: Don’t worry. They’re not alive. M: But we have to do something about this. J: They’re just toys. Don’t judge. She’s right, of course. Who am I to judge? Thanks for sharing your lives and your photos. They are priceless. I giggled at J’s diagnoses + treatment plans! Keep going Dr J! If you need some help you can always ask Dr Moon (that’s your Mommy) on how to be a better doctor – but for now I think you’re doing just fine. 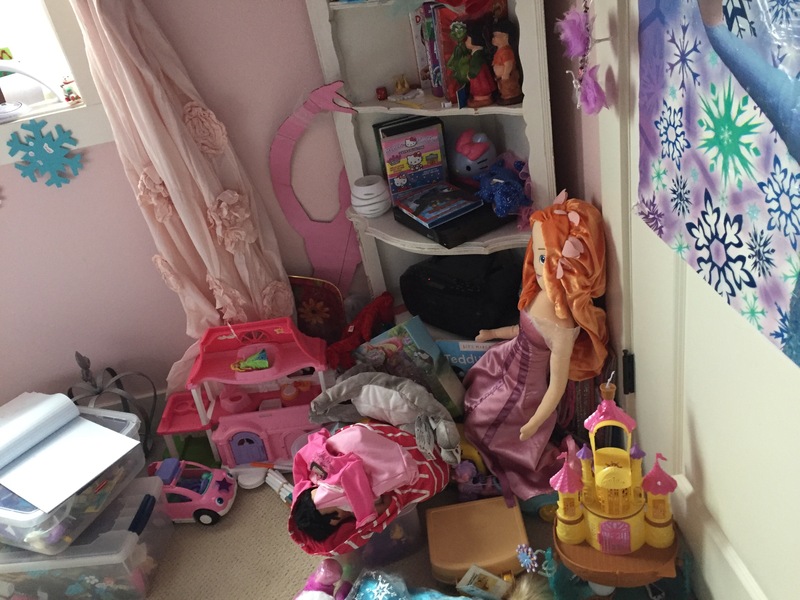 Great to see Julianna is having fun playing with her toys, Jessica likes her big Snoopy plush toy. I hope your all doing well. Sending prayers and love from Pedro, Sujin, and Jessica. This one made me laugh. Your daughter may not have a body that cooperates with what she wants to do, but there is nothing lacking in her mind. And you are doing such a wonderful job of sharing the sweet and spunky spirit of that little girl. I look forward to reading about her latest “adventures”. Because even though she might not leave her room, she is having greater adventures than many people ever have. Bless you for providing an environment that nurtures this spirit in her. Your love for her is obvious. God bless you! You are amazing parents. Julianna is an amazing princess. Her brother is a wonderful big brother. I just finished reading your story on CNN (while fighting off tears while sitting at my desk) and I want to send you gallons, buckets, semi-truck trailers, and barges of love and support. I am lucky enough to play veterinarian with my nieces and nephews and I just might have to borrow a few ideas from your delightful children. Thank you for sharing your story and your beautiful family. Maybe this doesn’t fit on this blog entry, but after reading about your family’s story on the news sites I was pretty upset at the so-called experts and wanted to share this with you about those who say a four year old can’t understand death – I think they’re totally wrong. I remember being three and four, and getting really scared about death – asking my grandmother whom I lived with to promise me that she wouldn’t die and my mom wouldn’t die. There was nothing wrong with either of them but I had realized what death was and didn’t want it to happen to my parents. My grandmom then unexpectedly died when I was 5, and it’s not like I didn’t understand what that news meant when they told me she was dead – and immediately started screaming, “WHY?? ?” Death is hardwired into us as a reality of existence – whoever decided that only 8 or 9 year olds can grasp it needs to go back to their drawing boards. I’m sure Julianna “gets it” and I applaud you for taking her seriously.